What do you do when live in some of the most expensive real estate in Brooklyn and have been availing yourself of the pro bono services of one of the city’s top law firms to get rid of a popular bike lane? Ask for money, of course. 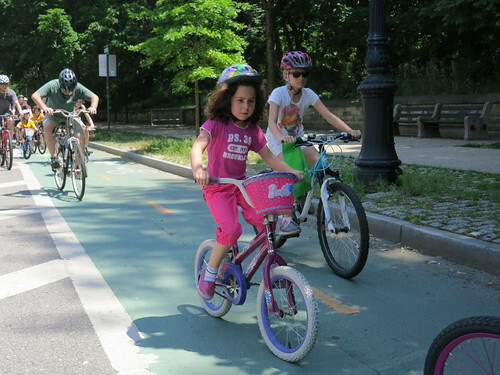 This appeal from Prospect Park West bike lane opponents Neighbors for Better Bike Lanes was included in a message that was distributed to the +1000 Friends of Parks email list last week. Neighbors for Better Bike Lanes or Seniors for Safety c/o Louise Hainline, 9 Prospect Park West, Brooklyn, NY 11215. For an excellent explanation of how NBBL cherry picks their numbers to push the idea that the DOT’s figures are misleading, please read this helpful Streetsblog post. It may also be helpful to note the facts NBBL no longer seems to be disputing: vehicular speeds are down, congestion has not increased, fewer cyclists are riding on the sidewalk, pedestrians are able to cross the bike lane safely, and families of all shapes and sizes now feel safer on Prospect Park West. you can also write to Chuck Shumer…yes, THAT Chuck Shumer and tell him that if his wife keeps trying to ‘influence’ this bike lane out of existence you aren’t gonna vote for him next time.